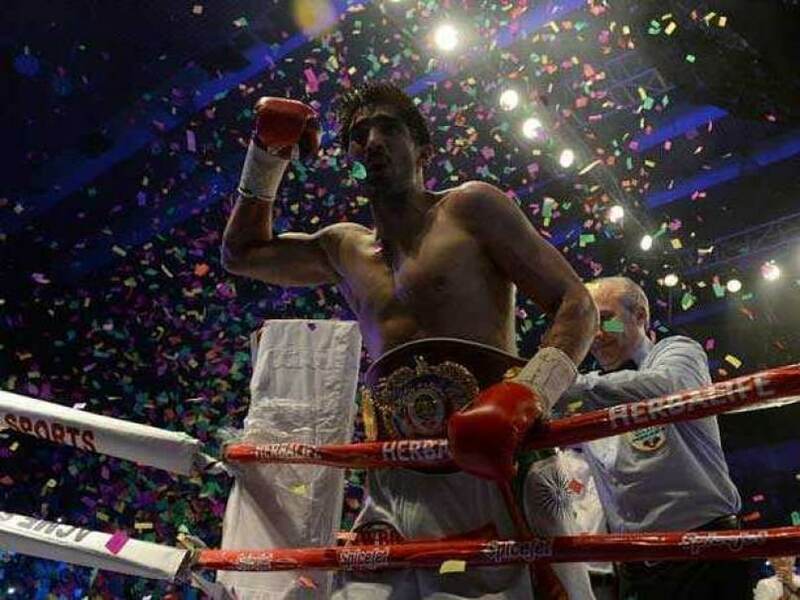 Elated and exhausted in equal measure after being crowned the WBO Asia Pacific champion, Indian boxing star Vijender Singh said he will savour the triumph for a while before looking at the possibility of a showdown with Pakistan-origin British boxer Amir Khan, who is keen for a face-off with him. The 30-year-old Indian pugilist clinched his seventh straight win and the Super Middleweight title by outlasting former WBC European champion Kerry Hope in a 10-round contest, cheered vociferously by delirious home fans last night. But with no end to questions on his future in the post-bout press conference, the star finally listed his options. "Mine and Amir's weight categories are different. So, in case he increases his weight or I decrease mine then we can work it out. We are thinking about it, so let's see. I hope that when that big fight happens, it happens in India only," said Vijender, thanking the fans several times during the presser for packing the 5,000-capacity Thyagaraj Stadium on Saturday night.